A lovely and visually interesting succulent garden that is easy to care for! Let this beauty greet you at your desk each day. 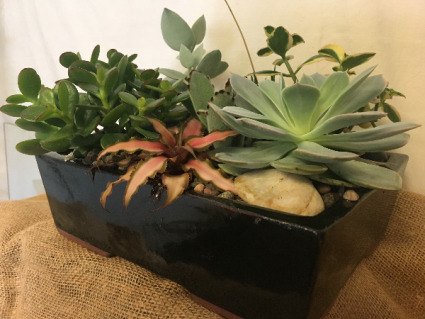 Makes a fantastic gift for any plant lover. 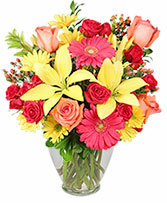 Designed uniquely for any loved one, this arrangement is sure to make their day! 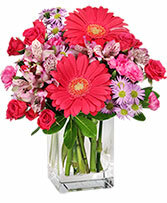 The fresh cut, colorful assortment of flowers are put in place one by one in this lovely tin keepsake!